Correction! Originally I posted that this is the only Chinese restaurant we’ve discovered to date which uses organic ingredients, no genetically modified ingredients and no MSG in the preparation of their food. However, I visited Ming’s again this week and discovered that some of their commercial soy sauces, which are available on individual dining tables, are not organic and are likely to contain sodium benzoate and GMO soy. After speaking with a member of the restaurant staff, I learned that this same soy sauce is used in the preparation of the food. Unless this is changed, we can no longer tout this as a non-GMO restaurant. Sorry, readers. We work on the honor system and unless we discover something to the contrary, we have to trust our restauranteurs to give us the facts. We do believe in this case it was an honest mistake of the ownership, which is the only reason Ming’s is remaining on Veggin’ Out and About’s list of recommended restaurants. We take these claims very seriously. While Ming’s is not entirely GMO-free, it still stands above its competitors in freshness and no MSG. 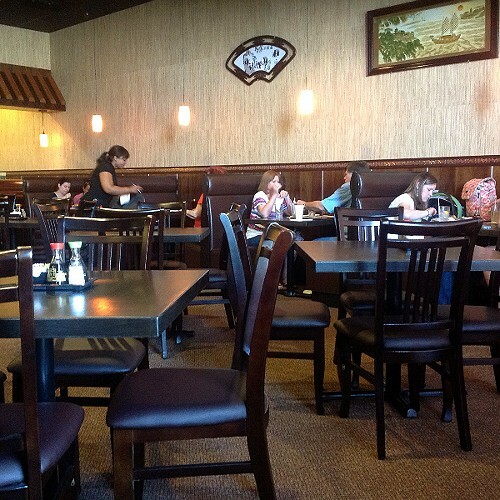 Ming’s Asian Cuisine had been opened five days when Rich and I happened by. It is located off of State of Franklin on Hamilton Place.We thought it must be a new chain restaurant but we were certainly mistaken about that. 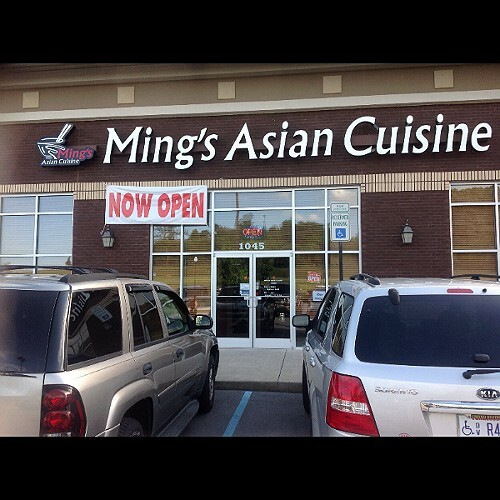 Ming is the owner. 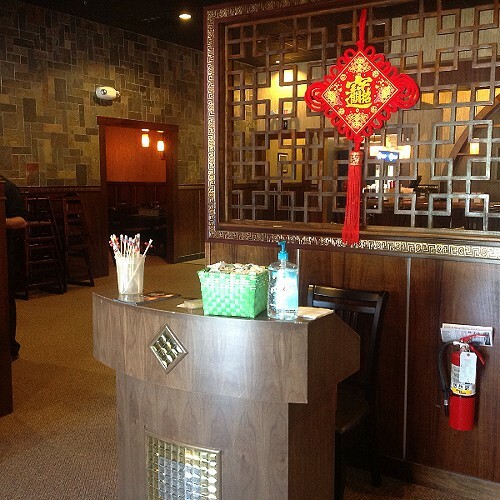 Ming’s Asian Cuisine prides itself on using seasonal fresh vegetables from local sources. They use no canola oil, which is a highly genetically modified product. Instead, they use sesame oil and olive oil. 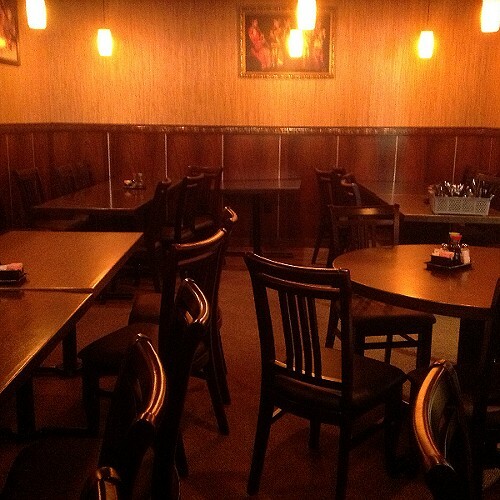 Ming’s is a combination of Thai, Chinese and Japanese cuisine. While this restaurant is heavily weighted on the side of the carnivores, they do offer seven vegan dishes, Eggplant in Garlic Sauce ($8.95), Bean Curd Sichuan Style ($8.95), Bean Curd Home Style ($8.95), Vegetable Delight (7.95), Kung Pao Bean Curd ($7.95), Curry Mixed Vegetables ($7.95) and Sauteed String Beans ($8.95). I spoke to Ming’s nephew, Michael, who assured me that meat and vegetable dishes are not cooked in proximity to each other or intermingled in any way. I had the Eggplant in Garlic sauce which was offered as part of the daily lunch special with a vegetable spring roll and brown rice for ($7.95). Rich had the Curried mixed vegetables which Michael allowed us substitute as part of the lunch special. 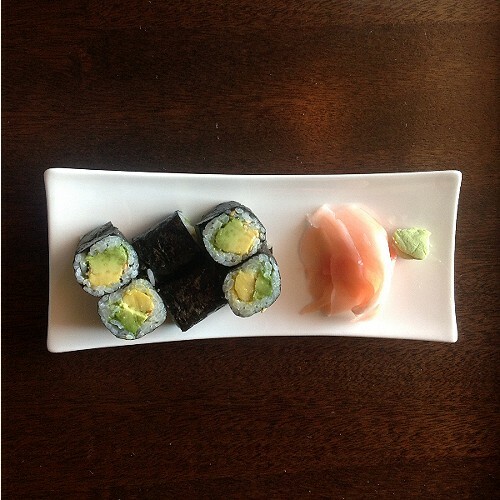 Both dishes brought back memories of the authentic flavors of Asia we remember from our time in the Far East. The eggplant was cooked perfectly with a sweet brown sauce. We had a choice of brown, white or fried rice. The fried rice contains egg so we did not consider that as an option. 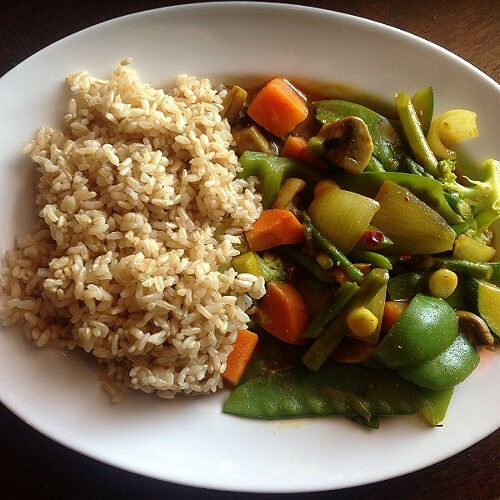 The curry Rich ordered was a Thai green curry with plenty of vegetables including carrots, scallions, broccoli, snow peas, mushrooms, asparagus, green peppers and onions. Both dishes were flavorful and filling. 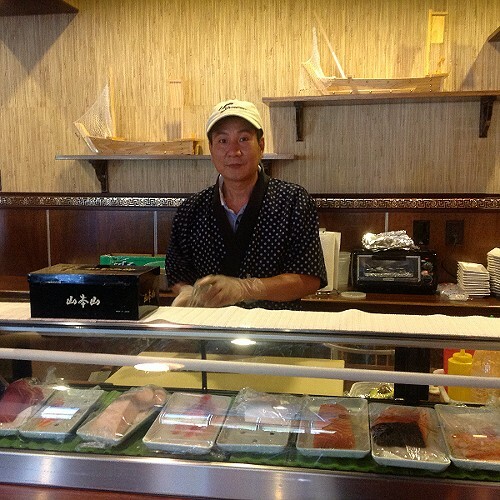 The staff was knowledgeable and the service was perfect! Ming’s also offers a sushi menu. The only thing on it that was vegan was the avocado roll ($3.95), however, Michael assures us he can make vegan rolls upon request. You can also get a miso soup with tofu, green onion and seaweed ($2.95), a house green salad ($2.95), or a crispy seaweed salad with sesame seeds, ginger and cucumber ($4.95). 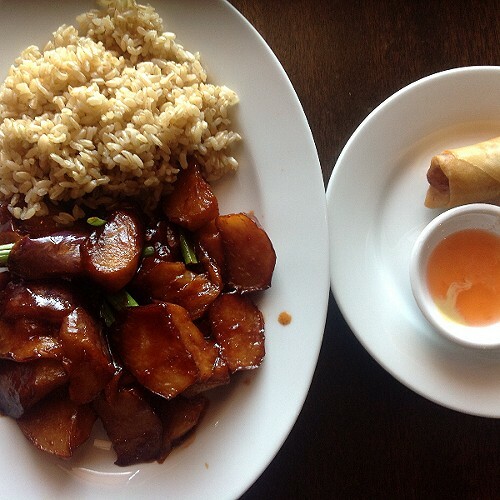 Ming’s Asian Cuisine is a welcome addition to the ever expanding vegan fare offered in Johnson City, TN. Also, try their sautéed greens (usually bok choy) from their traditional menu. 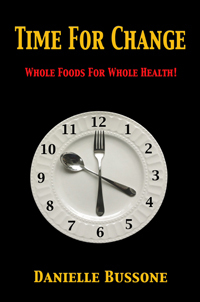 This dish is often prepared with chicken broth, so ask for it without it. And, if you like homestyle Chinese and eat eggs, you can ask them to cook up some yummy eggs and tomatoes, delicious over rice. Thank you for your comments, Jessica! Great tip about the greens. I did not know they used chicken stock in the preparation. We don’t advocate the consumption of eggs, however. Maybe they could do something with tofu instead. We had their Vegetarian Delight and the Eggplant dish a few days ago.